Custodian of the Two Holy Mosques, King Salman bin Abdulaziz Al Saud, held a reception in the city of Arar to mark the occasion of his visit to the region, and while there inaugurated a number of developmental projects to help the region. Mohammed bin Salman bin Abdulaziz, Crown Prince, Deputy Prime Minister and Minister of Defense joined his Father at the reception. The head of the House of Saud, King Salman, was received kindly by His Royal Highness Prince Faisal Bin Khalid bin Sultan bin Abdulaziz, Governor of the Northern Border Region. Immediately after the arrival of King Salman – may God have mercy on him – he was greeted warmly by a huge crowd of people. 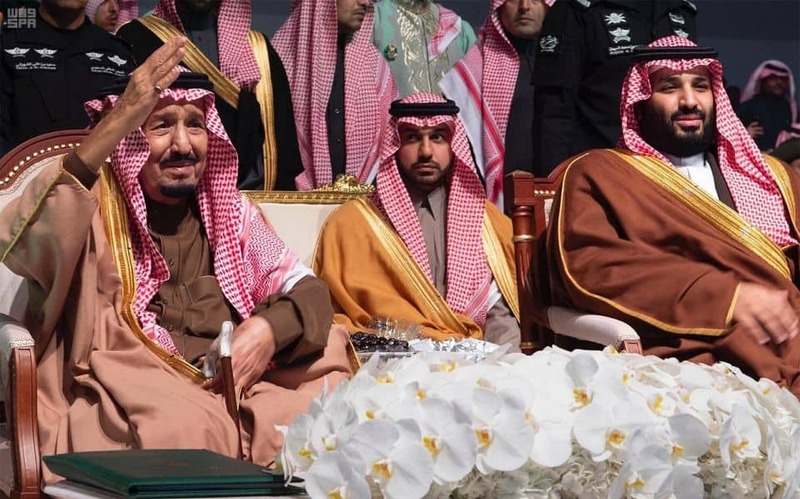 After taking his place on the main platform, along with other members of the Saudi royal family, the ceremony began, with the recitation of verses from the Holy Quran.